Whitesboro NY was the home to a recent project for the the Clearview Vinyl Window team. Our customer chose to replace an old fixed picture window, and it’s surrounding casement windows with a triple double hung unit. The double hung windows chosen by our customer will increase the amount of ventilation in that area of the home and are much easier to clean. Our double hung vinyl window model is by far our most popular, it is available in a number or colors and styling options like the popular Colonial Grid or Prairie styles. 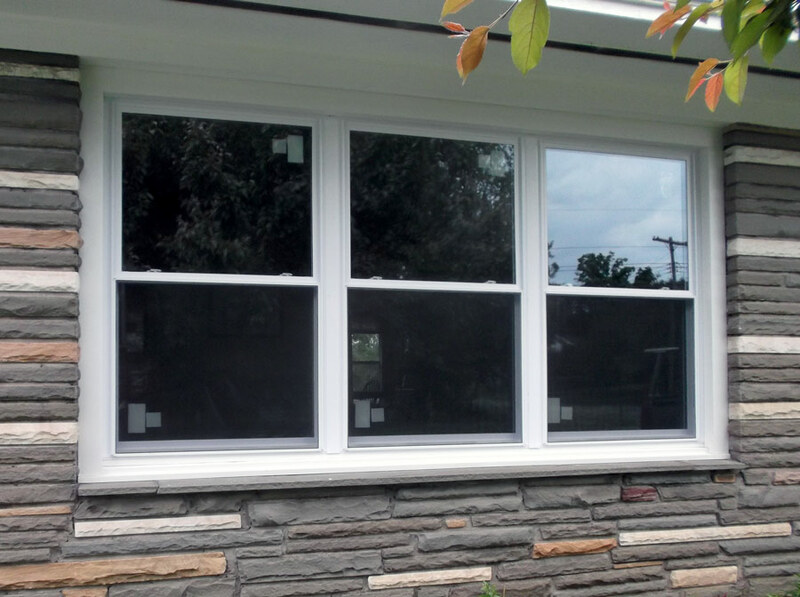 Clearview Vinyl double hung windows feature two sashes that move independently of one another so that the window may open from either the top or bottom of the frame. Each sash also has the ability to angle inward so that cleaning is easy from inside your home. Ready to replace our old, drafty windows? Call the Clearview Vinyl experts at (315) 821-2222 or submit a free online quote today! We are proud to serve the Central New York region including Utica, Rome, Herkimer, Morrisville, Sherill, Cicero and Hubbardsville!